Israeli forces have handed 12 demolition orders to Palestinian residents in Hebron Al Khalil, which includes 6 houses and 6 water wells. The orders were handed to residents of the village of Sa\\\'ir in the South Hebron Hills. The orders will further confiscate millions of square meters of land from the Palestinians, in order for the Israelis to expand illegal settlements in the area. The village has been closed under military orders and they have given the residents one month to file a complaint before carrying out the demolitions. Human rights groups say that the demolition orders is part of a strategy by Tel Aviv to annex the South Hebron hills to Israel and a greater strategy to maintain military control over the Jordan Valley, the Negev and the South Hebron Hills. A new injunction signed on the 25th December by the head of the Israeli military\\\'s Central Command, which bans all Palestinians from appealing demolition orders to the Israeli military courts. Instead they can only take them to the Israeli high court, which is more costly and time consuming for the residents. They are further banned from using Palestinian lawyers in the Israeli high court. The residents of So\\\'ir already live in cramped conditions in their village as they have been prohibited by the Israeli authorities to build new houses. They explained that if the demolition orders are carried out, they will be left homeless with nowhere to go. They will now take the case to the high court. A report about Israel and its plans for an expansion of their illegal settlements on the West Bank. Facts & Figures about the Terrorist State of Israel - English. These facts and figures will hopefully help you in making a point when speaking with people and educating masses about the crimes of the Zionist State of Israel. Don't just watch it and say, oh really, good to know, han!, wow!... It is obligatory on all of us to do whatever we can to stop the terrorist state from killing innocents, making innocent women and children homeless by demolishing their houses. This ethnic cleansing MUST stop. Rahber e Islami, Ayatullah Sayyed Ali Khamenei highlighting the attrocities and damanages caused by the Zionist Regime of Israel. This illegal entity has ruthlessly massacred babies and their mothers. They have bombed general public, demolished their houses and occupied their land. Rahber also points at the issue of co-existance. He also clarifies his stand against those who justify and advocate in the favor of Zionism and this Zionist Entity. Hundreds gathered in Dearborn Michigan to show their solidarity with the oppressed people around the world, especially the Palestinians who have been under brutal attack and occupation of the Zionist regime of Israel. This illegal establishment has demolished a number of houses, killed a huge number of innocent men, women and children. Muslims and non-mulims all over the globe gathered to condemn the attrocities brought about by this fully sponsored and supported regime. United States gives $7 Million USD per day to this tyrrant killer of innocents. Iranian President Mahmoud Ahmadinejad says the US took advantage of the 'suspicious' September 11 attacks to justify its occupation of Afghanistan and Iraq. President Ahmadinejad said while some 3,000 were killed on the September 11 incident, "for which we are all very saddened," hundreds of thousands of people have been killed and millions wounded and displaced up to now, as the conflicts continue to rage and expand. While raising several questions about the source and nature of the 9/11 attacks, the president asked even if we grant credence to the US government's view that "a complex terrorist group was able to cross all layers of US intelligence and security" to wage the attacks, "is it rational to launch a classic war through widespread deployment of troops that led to the death of hundreds of thousands of people to counter a terrorist group?" The Iranian president also blasted the Israeli regime for its siege of Palestinian lands and their repeated aggressions against the people of Gaza and Lebanon with blessings from their Western backers. "The oppressed people of Palestine have lived under the rule of an occupying regime for 60 years, been deprived of freedom, security and the right to self-determination, while the occupiers are given recognition," he said. "On a daily basis," he added, "the houses are being destroyed over the heads of innocent women and children. People are deprived of water, food and medicine in their own homeland. The Zionists have imposed five all-out wars on the neighboring countries and on the Palestinian people." President Ahmadinejad also highlighted the Israeli attack against the Gaza-bound humanitarian flotilla and killing and injuring civilians onboard, calling it "a blatant defiance of all international norms." The president emphasized that while the Tel Aviv regime "regularly threatens the countries in the region" and conducts "publicly announced assassination of Palestinian figures," it enjoys the "absolute support of some western countries." Whereas, he added, "Palestinian defender and those opposing this regime are pressured, labeled as terrorists and anti Semites." The Iranian president then insisted that all solutions "are doomed to fail" if the rights of Palestinian people are not accounted for, calling for the return of the Palestinian refugees to their home land and the establishment of a Palestinian sovereignty and government based on a popular vote. President Ahmadinejad referred to the recent burning of the holy Qur'an in the US as an "ugly and inhumane act" against the Divine Book of Islam's prophet that calls for "worshipping the one God, justice, compassion toward people, development and progress, reflection and thinking, defending the oppressed and resisting against the oppressors." He then stressed that the Qur'an was burned "to burn all these truths and good judgments." However, he added, "the truth could not be burned." On the Iranian nuclear issue, President Ahmadinejad reiterated Iran's readiness to resume talks based on the Tehran Nuclear Declaration, censuring the unjust imposition of anti-Iran sanctions by the UN Security Council. Noting the Nuclear Non-proliferation Treaty (NPT) allows member states to use nuclear energy without limits while prohibiting the development and stockpiling of nuclear weapons, the president underlined that some permanent members of the UN Security Council have nonetheless "equated nuclear energy with the nuclear bomb, and have distanced this energy from the reach of most nations by establishing monopolies and pressuring the IAEA." Consequently, he said, "Not only the nuclear disarmament has not been realized, but also nuclear bombs have been proliferated in some regions, including by the occupying and intimidating Zionist regime." Dr. Ahmadinejad went on to make the proposition that the year 2011 be proclaimed the year of nuclear disarmament and "Nuclear Energy for all, Nuclear Weapons for None." On Iran's nuclear issue the Iranian president referred to the Tehran Declaration on a fuel swap deal as "a hugely constructive step in confidence building efforts" and said that it was facilitated through the good will of Turkish, Brazilian and Iranian governments. He reiterated that although the declaration received "inappropriate reaction" by some governments and followed by an "unlawful resolution," it still remains valid. "We have observed the regulations of the IAEA more than our commitments," he observed. "Yet, we have never submitted to illegally imposed pressures nor will we ever do so." The president also slammed UN's "ineptitude" and "unjust structure," stressing that major power has been "monopolized" in the Security Council (UNSC) due to the veto privilege while the main pillar of the organization, the General Assembly, "is marginalized." Noting that in the past decades at least one of the permanent members of the UNSC has been a party to conflicts, Dr. Ahmadinejad said, "The veto advantage grants impunity to aggression and occupation; how could, therefore, one expect competence while both the judge and the prosecutor are a party to the dispute?" "Had Iran enjoyed veto privilege, would the Security Council and the IAEA Director General have taken the same position in the nuclear issue?" The Iranian president then insisted that the veto privilege "be revoked" altogether and the General Assembly becomes the "highest body" in the United Nations. 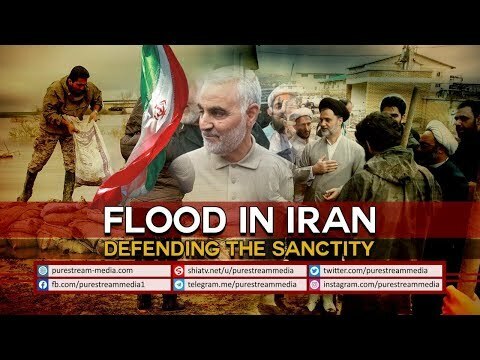 At the beginning of his remarks, President Ahmadinejad expressed great sympathy with the people and government of flood-stricken Pakistan and urged the world to pldege adequate aid and support for the flood victims. Look around and compare it with the houses (PALACES) of other Presidents around the world. May Allah give success to the true followers of Prophet Muhammad (s) and his pure progeny (a.s). 74 people have been killed and 111 injured in a strong earthquake that toppled homes in northeastern Myanmar. There were fears on Friday the toll would mount as conditions in more remote areas became known. The Thursday night quake measured at a magnitude 6.8. 390 houses, 14 Buddhist monasteries and nine government buildings were damaged. The al-Ghirayib family lives in one of the stranger manifestations of Israel's 43-year occupation of the West Bank: a Palestinian house inside a metal cage inside an Israeli settlement. The family's 10 members, four of them children, can only reach the house via a 40-yard (meter) passageway connecting them to the Arab village of Beit Ijza farther down a hill. The passageway passes over a road used by Israeli army jeeps and is lined on both sides with a 24-foot-high (8-meter) heavy-duty metal fence. The same fence rings the simple one-story house, separating it from the surrounding settlement houses. Saadah, the land that has been at war with Ali Abdullah Saleh's regime for 33 years. One of most beautiful districts in Yemen filled with rare fruits old houses and a green landscape. A place where time has stood still, until the Yemeni government shelled Saadah in 2004, aiming to wipe away the powerful Houthi family. This was the beginning of a civil war, one that would persist for years In this edition of the show we travel to the Yemen to find out more about the Saadah and its untold story. A recent report issued by the Palestine Liberation Organization (PLO) says around 180 Palestinians were killed by Israeli occupation forces in 2011, Press TV reports. According to reports, more than 120 people including children and women have been killed and over 600 injured in the Gaza strip during air raids and ground incursions in 2011. “2011 was the bloodiest year since the end of Israel's war on Gaza. We still continue to suffer from a huge shortage of some types of medicines,” Ashraf al-Qedra of Gaza Health Ministry told Press TV. Israel has been imposing a land and sea blockade on the tiny coastal strip since 2007. It controls Gaza's airspace and territorial waters and restricts the movement of people or goods in or out of Gaza. The Israeli regime waged a 22-day Christmas war on the densely populated coastal sliver in 2008 which left more than 1,400 Palestinians dead including at least 300 children. The offensive also destroyed 4,000 houses and devastated a large portion of infrastructures in the blockaded strip. Israeli military forces also targeted UN-run schools and centers. More than 50,000 people were also displaced as a result of the three-week war. Tel Aviv also used internationally-banned weapons, including white phosphorus bombs, against the Gazans during the three-week war. On December 27, the Israeli military's Chief of Staff Lt. Gen. Benny Gantz warned that Tel Aviv would launch another war on the coastal enclave. The Israeli military, meanwhile, frequently bombs the besieged sliver, claiming that the acts of aggression are conducted for defensive purposes.